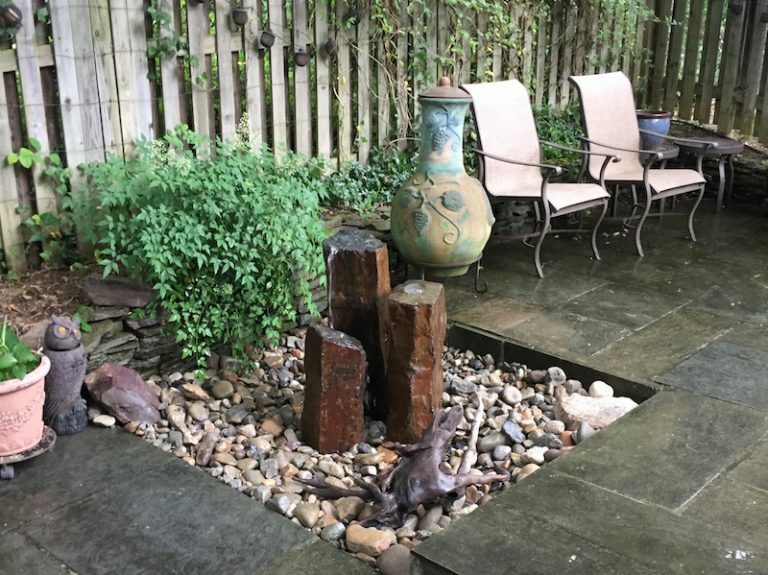 Fountainscapes are the best way to enjoy the sights and sounds of water without a large investment or the space needed to install a larger water feature. 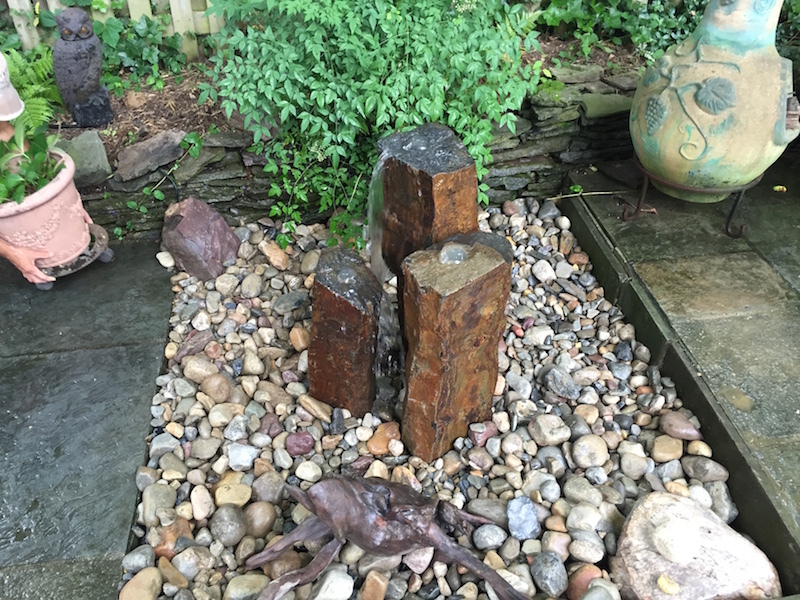 The Pond Doctor offers a wide variety of decorative pieces that can beautify your yard. 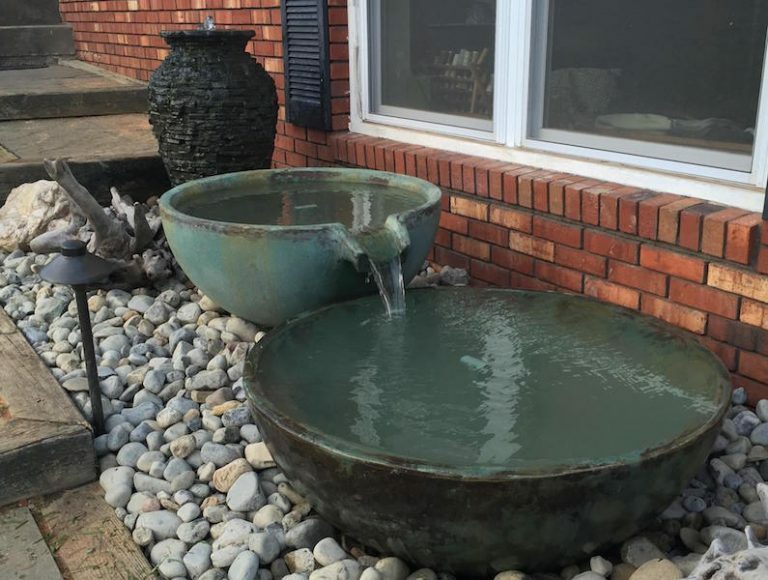 Slate urns, fountain bowls, and bubbling rocks are just a few of the choices for your water feature. 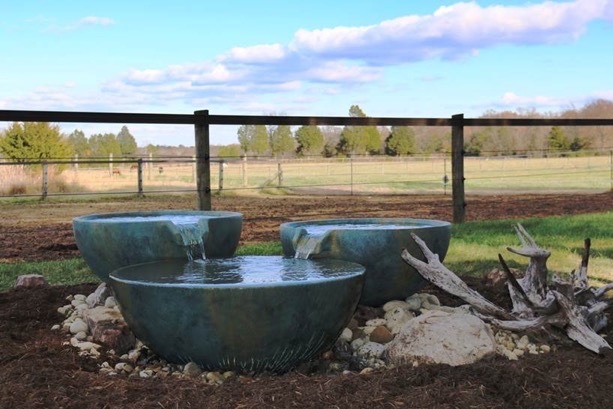 A Fountainscape typically consists of a decorative water feature positioned over the top of a underground reservoir that stores water. A re-circulating pump is used to pump water from the basin to the fountain where it bubbles over the top and cascades back into the gravel. 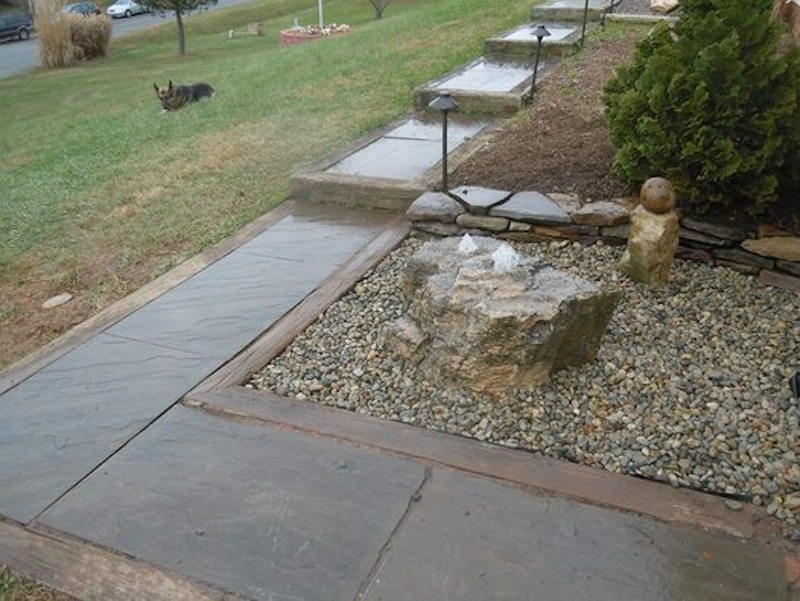 The maintenance required for these features is also significantly less than a traditional pond or waterfall. 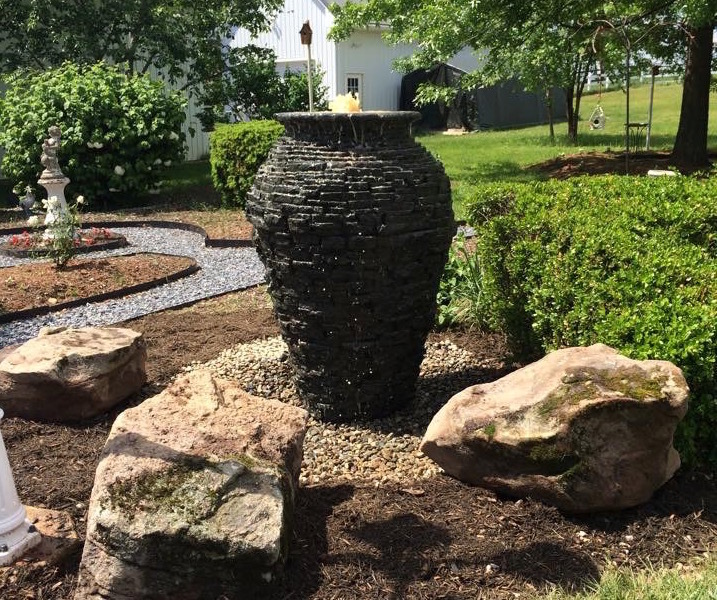 If you live in Northern Virginia, call The Pond Doctor at (540) 272-6866 or CLICK HERE to contact us to get started with your outdoor fountainscape.